…And they want you to join the movement in celebration of women’s month! 7th March 2018, Dubai, United Arab Emirates: What a month to be a women! March marks not just a celebration of Mother’s but also a celebration of all women, with both Mother’s Day and International Women’s Day falling in the same month each year. Pioneering Swedish beauty brand FOREO knows that there ’s nothing more empowering than women supporting women, declaring 2018 as “a year of confidence”, and they want you to join the party! FOREO not only have the expertise in trend-setting technology but the results and reviews to prove it. So why not give yourself, your mother, sister, best friend, the perfect gift this month - a kick start to confidence, and an all round #naturalglow. 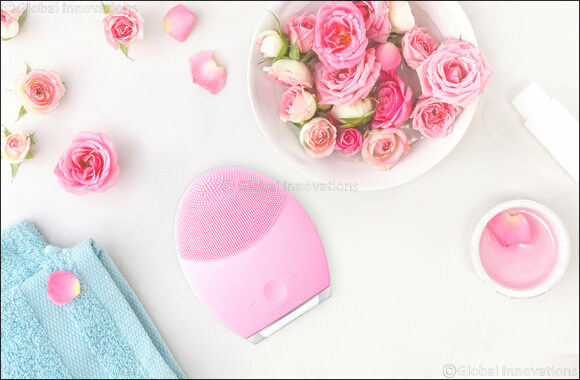 FOREO’s LUNA 2 skincare device caters to all skin types, so whether you have oily, combination, normal or sensitive skin, there’s a LUNA 2 device to suit you or the woman you love. To top off the celebration of confidence, FOREO is giving one lucky lady the opportunity to WIN a Dream Come True Gift Set. To enter, FOREO is calling upon all women to share a photo on Instagram of a cherished moment with a women that inspires them, tagging @foreo_mea and using the hashtag #ConfidentWithFOREO. The giveaway is for UAE entrants aged 18+ only and the lucky winner will be announced at the end of the month. Join the movement and let’s celebrate women!